Mongolia is known as the 'Land of Blue Skies', it has over 260 sunny days each year but there are extremes to the climate; hot summers and cold winters. For this reason the tourist season stretches only from May to October. However, visiting Mongolia out of season is not a problem as long as you can tolerate the cold, wind storms and possible difficulties in traveling. July and August are the two wettest months of the year. The traditional festival Naadam is held every year in July and is the major Mongolian holiday. The festival is celebrated by a series of games; Mongolian wrestling, horse racing and archery. For tourists it is a wonderful opportunity to experience the culture and people of this amazing country. Please notice that the list below is not complete list of our tours to Mongolia. If you cannot find the tour which suits your needs please contact us directly, we will be happy to assist you and prepare tailor-made itinerary for you. Day 2.Breakfast. Transfer back to Ulaanbatar. Visit Chinggis Khaan Statue complex. Visit Statue. Continue driving to Ulaanbaatar. Accommodation at the hotel***. Lunch at a restaurant in the city. City tour with visits to Gandan Function monastery and the National History museum. Shopping. Folklore performance. Dinner at a city restaurant.Overnight at the hotel. Day 3. Breakfast. Transfer to airport or train station. Day 1. Arrival to Ulaanbaatar. Transfer to your hotel. Breakfast by yourself. Short rest. Ulaanbaatar city tour including Gandan Function monastery, visit religious center of Zanabazar. Short stop over near Bogd Kgaan winter Palace. Visit Zaisan memorial complex. Visit Sukhbaatar square. Lunch at the restaurant of the city. Visit Natural and National History museums. In the evening, you will visit Folklore performance. Dinner at the restaurant of the city. Transfer back to your hotel. Overnight at the hotel. Day 2. Breakfast. Transfer to Chinggis Khaan Statue complex that located around 60 km from Ulaanbaatar. Visit Statue…Photo opportunities. Continue to drive around 40 km to 13th century National Park. Arrival to 13th century national Park. Introduce relay - station. Visit the camp of Crafted (tour around the camp, dress into special traditional costumes for to take photo, Eagle watching and other sightseeing. Lunch. Visit the educational camp. Visit the camp of Shamans; Visit the King Palace, Visit herdsmen's camp. Visit to herder's family. Riding horses, camels and yaks. Playing anklebone shooting and other Mongolian traditional games. In the evening, drive to camp in Terelj National Park. Dinner. Overnight at Ger camp. Day 3. Breakfast. Walking around the camp. Visit Turtle Rock. Visit Aryabal temple - Buddhist Meditation Temple on the top of the hill. Visit Nomadic family. Lunch at Nomadic family. Horse riding for 1 hour. Transfer to Ulaanbaatar. Accommodation at the hotel. Free time. Dinner by yourself. Overnight t at the hotel. Day 1. Arrival to Ulaanbaatar. Meeting with the Guide and driver. Driving to Terelj National Park. Accommodation at the camp. Beginning of Horse riding tour. By horses, visit Turtle Rock and Aryabal temple - Buddhist Meditation Temple on the top of the hill. Visit Nomadic family. Lunch at Nomadic family. 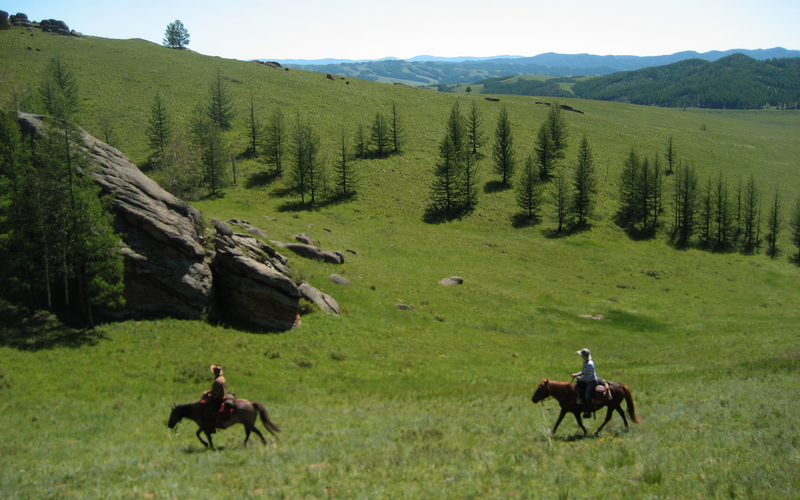 Continue horse-riding tour in Terelj National Park. Return to the camp around. Dinner. Overnight at the camp. Day 2. Breakfast. Transfer to Chinggis Khaan Statue complex that located around 60 km from Ulaanbaatar. Visit Statue…Photo opportunities. Continue to drive around 40 km to 13th century National Park. Arrival to 13th century national Park. Introduce relay - station. Visit the camp of Crafted (tour around the camp, dress into special traditional costumes for to take photo, Eagle watching and other sightseeing. Lunch. Visit the educational camp. Visit the camp of Shamans; Visit the King Palace, Visit herdsmen's camp. Visit to herder's family. Riding horses, camels and yaks. Playing anklebone shooting and other Mongolian traditional games. In the evening, drive back to Ulaanbaatar. Accommodation at the hotel. Dinner at the restaurant of the city. Overnight at the hotel. Day 3. Breakfast. 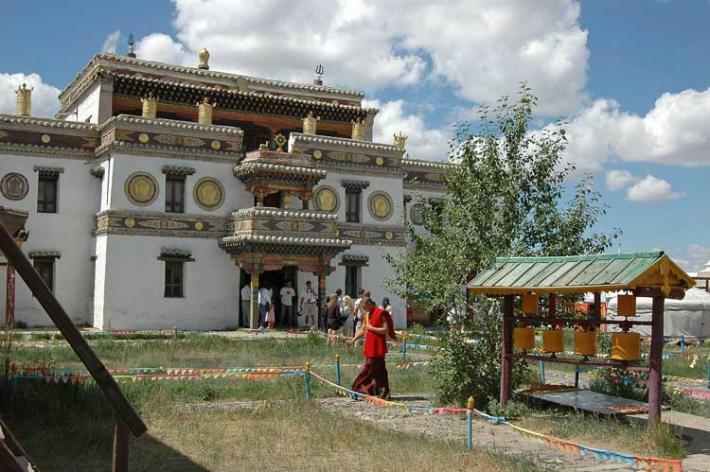 Ulaanbaatar city tour including Gandan Function monastery, visit religious center of Zanabazar. Short stop over near Bogd Kgaan winter Palace. Visit Zaisan memorial complex. Visit Sukhbaatar square. Lunch at the restaurant of the city. Visit Natural and National History museums. In the evening, you will visit Folklore performance. Dinner at the restaurant of the city. Transfer back to your hotel. Overnight at the hotel. Day 1. Meeting with the Guide and driver. Driving to Ugii lake. This lake covers 27 square kilometer and it is rich in Perch and Pike. Ugii Nuur is a wonderful place for bird life - cranes and ducks. On the way visit a ruined Khar Bukh Fortress (Khar Bakhin Balgas). Box lunch on the way. Arrival to the camp. Dinner. Overnight at the camp. Day 2. Breakfast. Driving to Kharakorum – the ancient capital of Mongolia. On the way visit. On the way, visit Turkic memorial complex of Khushuu Tsaidam. Visit local museum. Arrival to the camp. Lunch. Visit one of the biggest monasteries in Mongolia – Erdene Zuun. Visit Kharokorum museum. Driving to Khar Balgas. It is a ruined city from the ancient times. Lunch. Driving back to the camp. Dinner. Overnight at the camp. Day 3. Breakfast. Continue driving to Orkhon waterfall. Arrival to Orkhon waterfall is the main attraction of this region of Mongolia. Lunch. Visit Orkhon waterfall. The waterfall was formed by a unique combination of volcanic eruptions and earthquakes about 20,000 years ago. Dinner. Overnight at the camp. Day 4. Breakfast. Return driving to Ulaanbaatar. 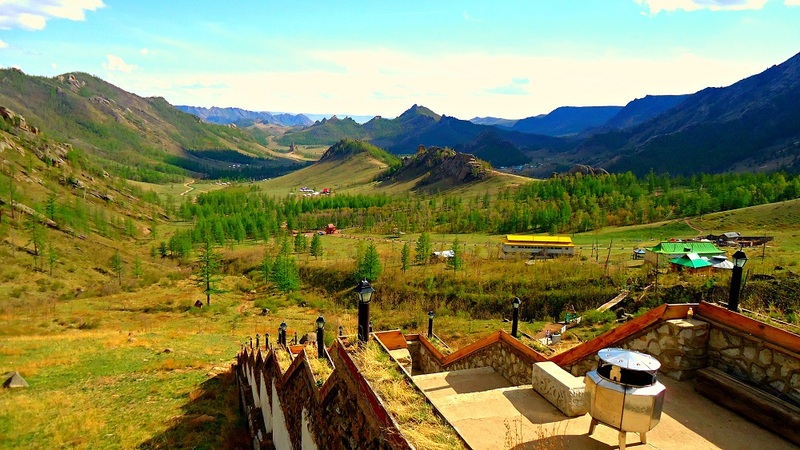 On the way, visit Shankh Hiid monastery. Lunch on the way. Visit Khogno Khaan mountains. This area represents a unique picture of the natural contrasts combining the Mongolian desert Gobi and landscapes of Hangaj. Visit sand Dunes – ELSEN TASARHAI. Visit ruins of local monastery – Ovgon Khiid. Arrival to Ulaanbaatar to specified place. Day 1. Arrival to Ulaanbaatar. Transfer to your hotel. Breakfast by yourself. Short rest. Ulaanbaatar city tour including visit religious center of Zanabazar. Visit Bogd Kgaan winter Palace. Visit Zaisan memorial complex. Visit Sukhbaatar square. Lunch at the restaurant of the city. Visit Natural History museum. Visit one of the museums of Ulaanbaatar city by your choice: National History museums, Choijin Lama museum or Art museum. In the evening you will visit Folklore performance. Dinner at the restaurant of the city. Transfer back to your hotel. Overnight at the hotel. Day 2. Breakfast. Transfer to Chinggis Khaan Statue complex that located around 60 km from Ulaanbaatar. Visit Statue…Photo opportunities. . Continue to drive to Terelj National Park. Visit Turtle Rock. Visit Aryabal temple - Buddhist Meditation Temple on the top of the hill. Visit Nomadic family. Horse riding, 1 hour. Lunch at Nomadic family. Continue driving to Hustai National Park. On the way visit Moltsog Els sand dunes. Accommodation at the camp. Dinner. Overnight at the camp. Day 3. Early breakfast. Driving to see the wild Takhi- Przewalski horses which have lived peacefully since 1993 when they were reintroduced to their native land. Here are able to see and photograph these beautiful animals. 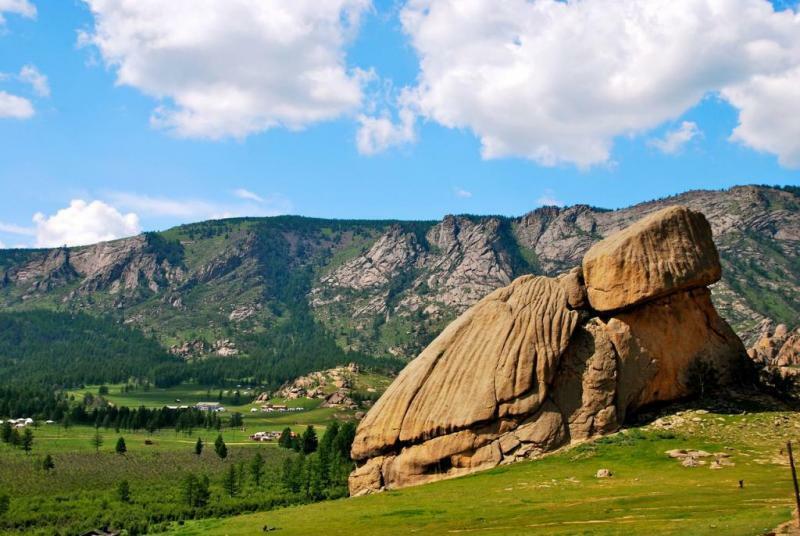 Continue driving to Kharakorum – the ancient capital of Mongolia. On the way visit Khogno Khaan mountains. This area represents a unique picture of the natural contrasts combining the Mongolian desert Gobi and landscapes of Hangaj. Visit sand Dunes – ELSEN TASARHAI. Visit ruins of local monastery – Ovgon Khiid. Lunch on the way. Visit Turkic memorial complex of Khushuu Tsaidam. Visit local museum. Arrival to Kharakorum. Dinner. Overnight at the ger camp. Day 2. Breakfast. Visit one of the biggest monasteries in Mongolia – Erdene Zuun. Visit Kharokorum museum. Continue driving to Orkhon waterfall. On the way visit Shankh Hiid monastery. Lunch on the way. Arrival to Orkhon waterfall is the main attraction of this region of Mongolia. Visit Orkhon waterfall. The waterfall was formed by a unique combination of volcanic eruptions and earthquakes about 20,000 years ago. Dinner. Overnight at the camp. Day 3. Breakfast. Driving to Tsenher Hot Springs. The water here comes out of the ground at around 80 degrees C. Lunch on the way. Arrival to Tsenher Hot Springs. Dinner. Overnight at the camp. Day 4. Breakfast. Continue driving to Tsetserleg. Visit the local museum (Arhangai aimag museum). Visit local monastery and Buddha complex. Lunch on the way. Driving to Ugii Lake. This lake covers 27 square kilometer and it is rich in Perch and Pike. Ugii Nuur is a wonderful place for bird life - cranes and ducks Arrival to the camp. Dinner. Overnight at the tourist camp. Ride a train from Ulaanbaatar to Moscow over Trans-Mongolian railroad across the longest railroad in Eurasia. You may make a stop over in lake Baikal / Irkutsk city (Russia) to investigate the biggest freesh lake in on the planet Earh. You may travel from Ulaanbaatar to Beijing by train. Explore the Asia from the train! Instead of flying straight to Ulaanbaatar you can take train from Moscow or Beijing to Ulanbaatar. Any foreign visitor wishing to enter Mongolia must have a valid passport and visa, however, a few nationalities (US, Israeli, Hong Kong ) can enter Mongolia without visa. 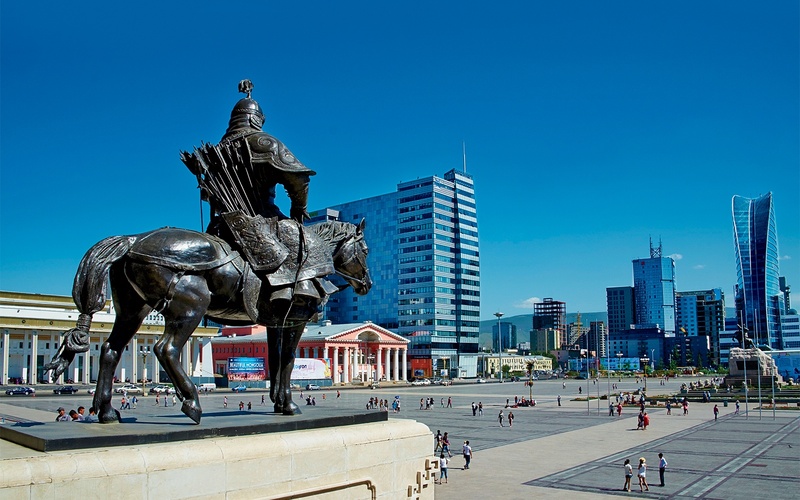 You can apply for a visa 3 months before the intended departure date to Mongolia and your passport must be valid for at least 6 months after the intended departure date. Mongolia has just a few embassies in Europe so if you need our help please contact us and we will arrange your Mongolian visa in Sweden. You should send us your passport by registered mail together with 1 application form and 1 passport size photo. To download the Mongolian visa application form please click here.